Doesn't leave my skin greasy like most moisturizers! Great to use as a follow up to drying benzoyl peroxide washes None! Buy this if your skin is drying out big time, it'll fix it up right away. Clears up smaller stuff quickly You can really feel it working on the acne It does dry, but some moisturizer will fix it Doesn't get everything, just little whiteheads and blackheads Totally worth the money! 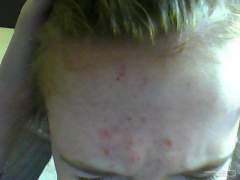 It helps a lot with the acne and the side effects are easily fixable. Like I want to crawl in a hole and die. 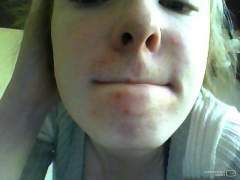 I don't have pimples anymore, just red, peeling scabby things all over my forehead and chin. This is 4 weeks into a dermatologist prescribed regimen consisting of tetracycline, triaz bp pads, and ziana.